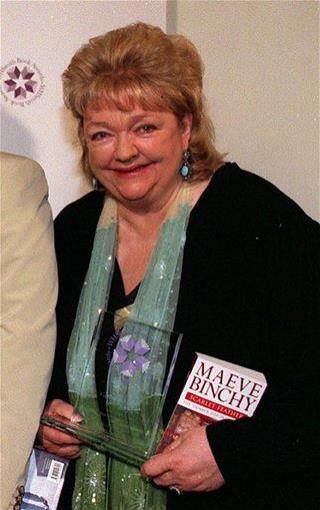 (Newser) – Beloved Irish writer Maeve Binchy has died at age 72 in Dublin, following a brief illness, the Irish Times reports. Binchy's books, among them short-story collections and the novel-turned-movie Circle of Friends, have sold more than 40 million copies, and addressed the tensions of a modernizing Irish society, the Guardian notes. Her passing prompted praise from fellow writers as well as the highest levels of government. "Today we have lost a national treasure," said Irish PM Enda Kenny. "She is a huge loss wherever stories of love, hope, generosity, and possibility are read and cherished." ""the fax was invented so we writers could live anywhere we liked, instead of living in London near publishers." what a hoot. A very European mentality. I have taken day trips for meetings as far as Dublin to London. as one European intern said after taking one of our day trips for a meeting, "now I understand why you Americans like your big cars." Her books always brought me many hours of reading pleasure. There was always a waiting list for them at the library.